KIC Restoration has the cutting edge equipment required to conduct both non-invasive and invasive leak detection. 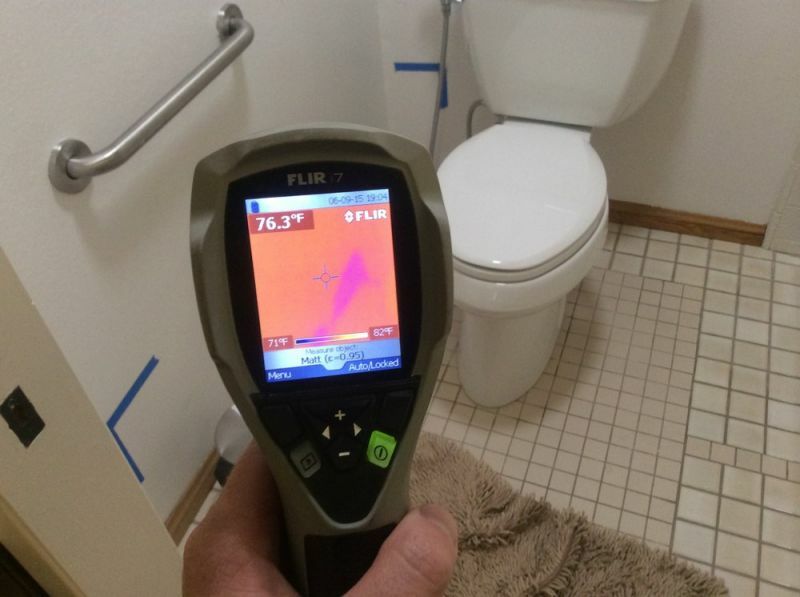 We utilize acoustical liquid leak detector systems, augmented by Flair Infrared Cameras. We also have a suite of Extech invasive and non-invasive moisture meters. Our leak detection technicians have years of experience locating leaks, preventing water damage and advising plumbers as to the most feasible solution to the given leak. Slab leak directly under the bathroom tile. Can you see the heat signature?